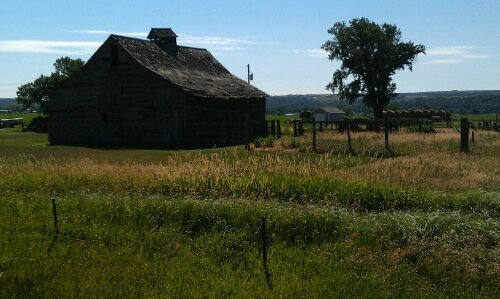 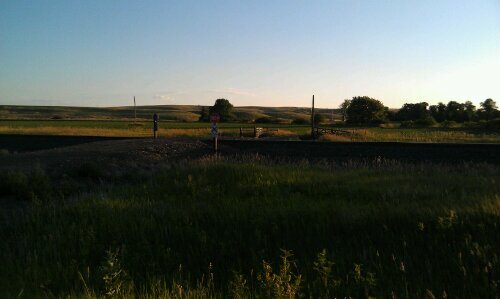 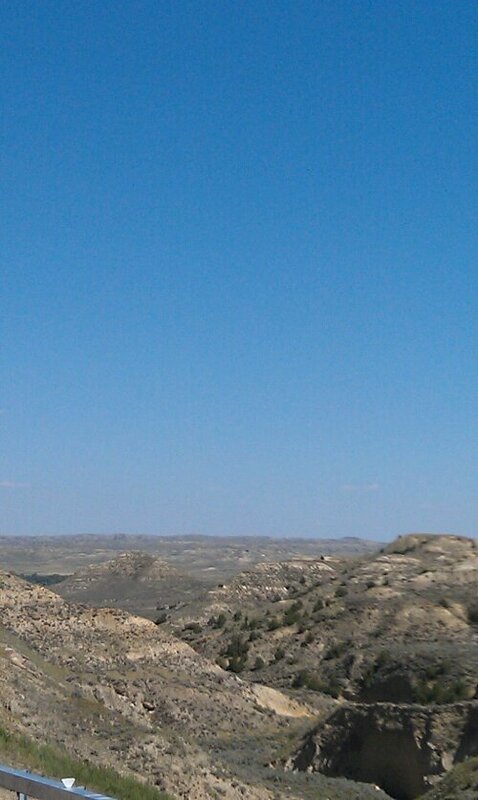 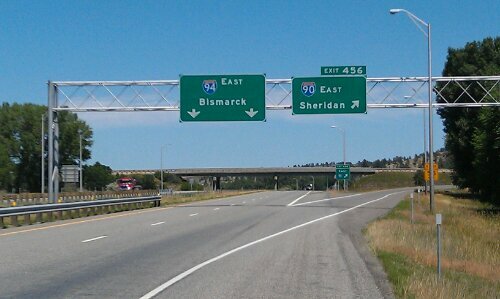 Made it across the South Dakota state line today ! 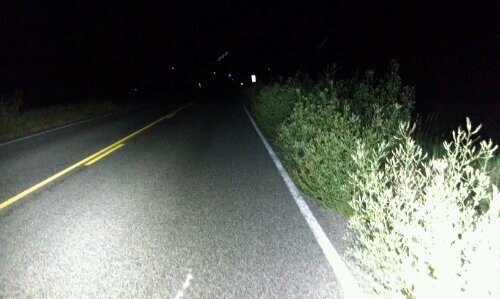 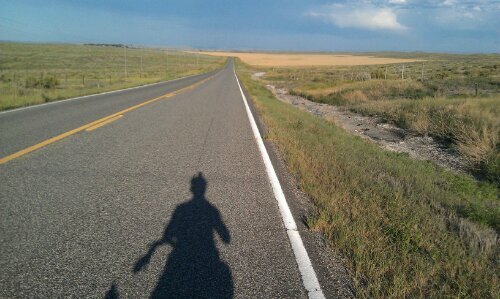 Scenes from peddling across 66 miles of Desert yesterday. 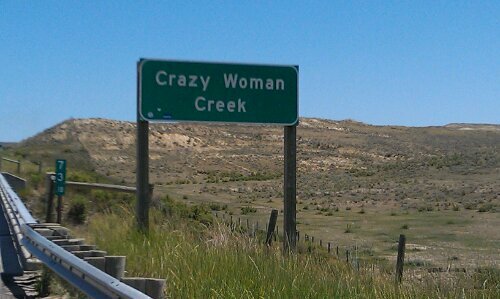 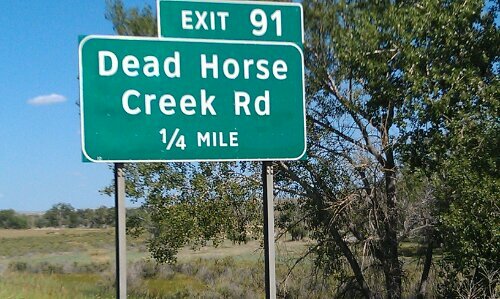 Note the Dead Horse creek sign along with the crazy woman sign. 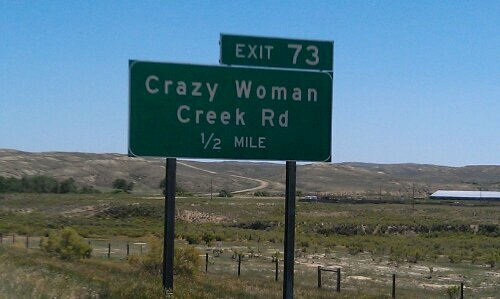 I guess the woman became crazy from her time in the desert. 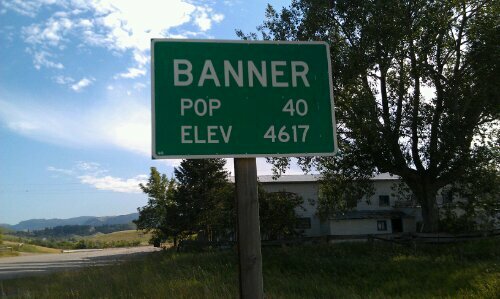 This sign is absolutely correct. 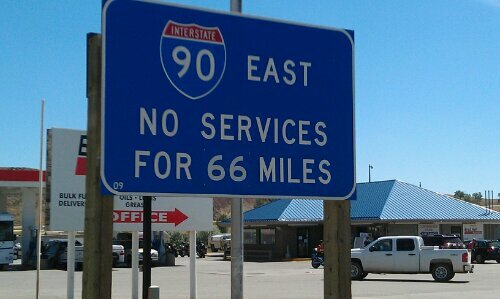 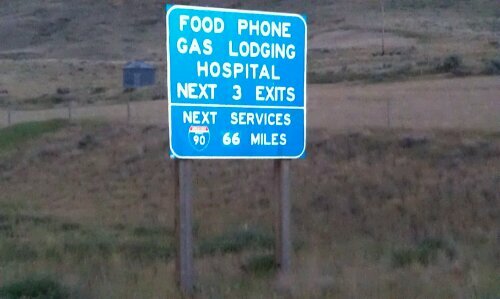 No services for 66 miles. 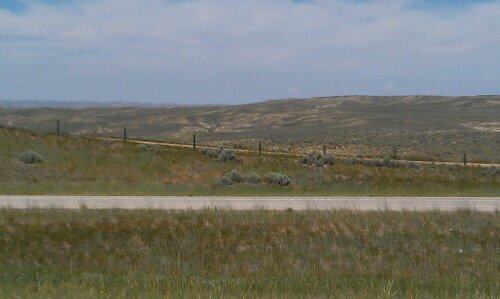 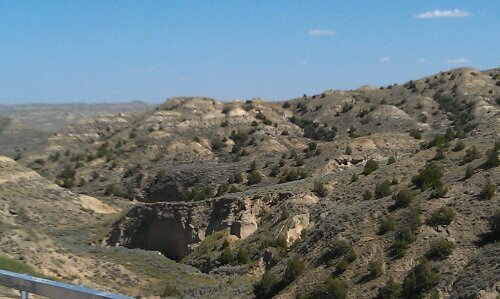 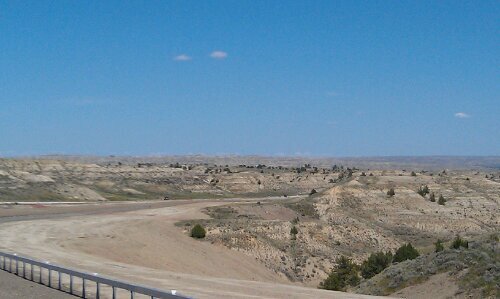 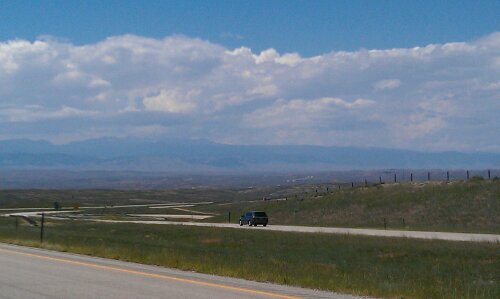 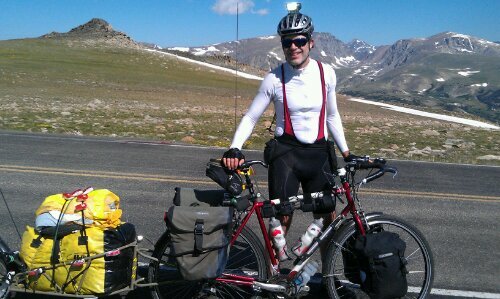 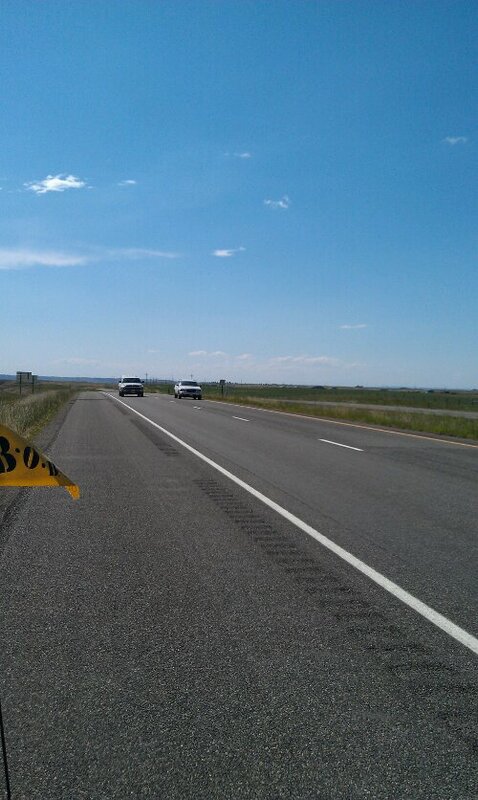 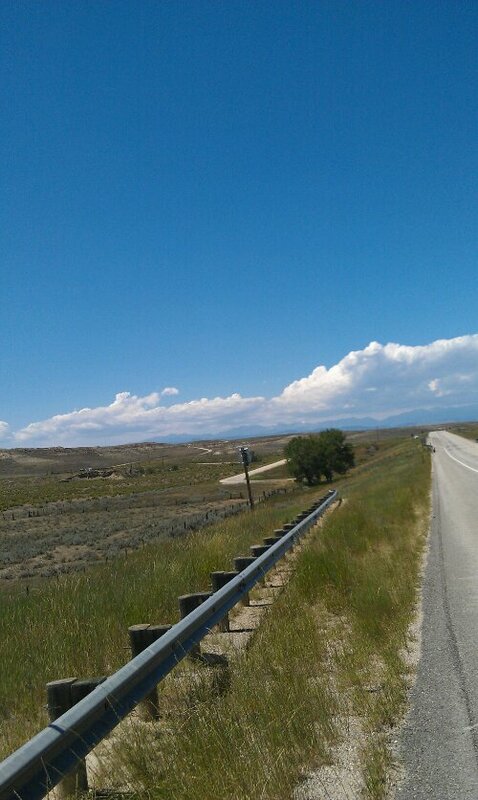 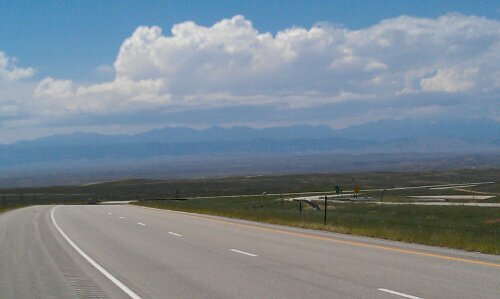 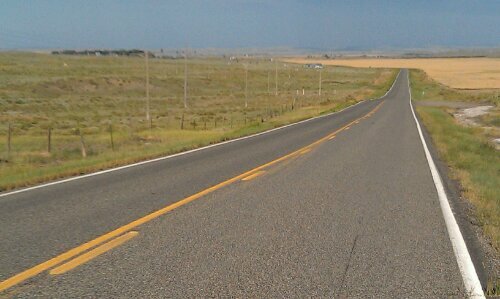 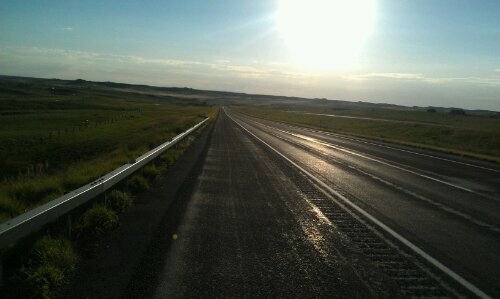 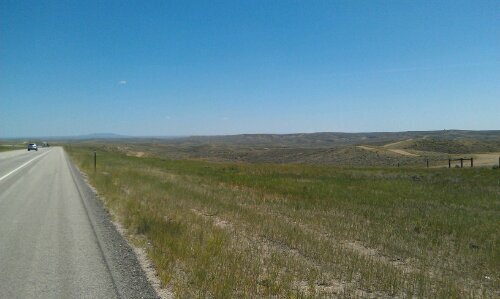 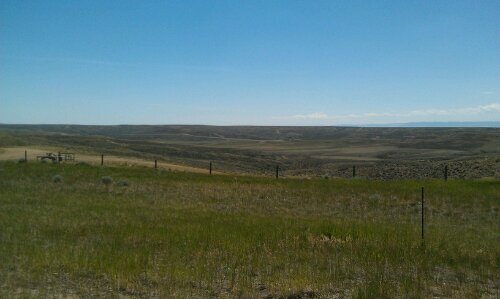 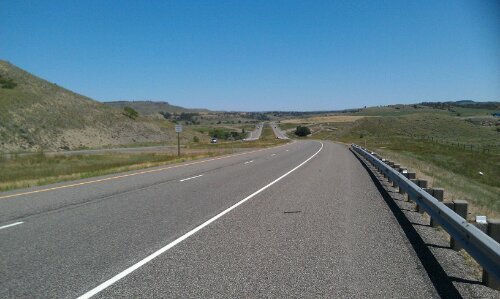 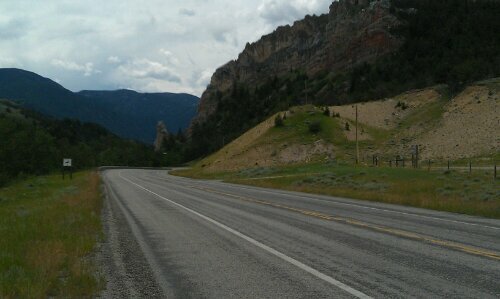 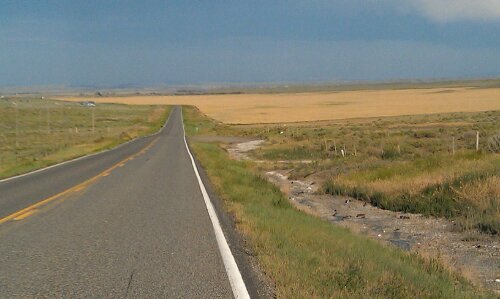 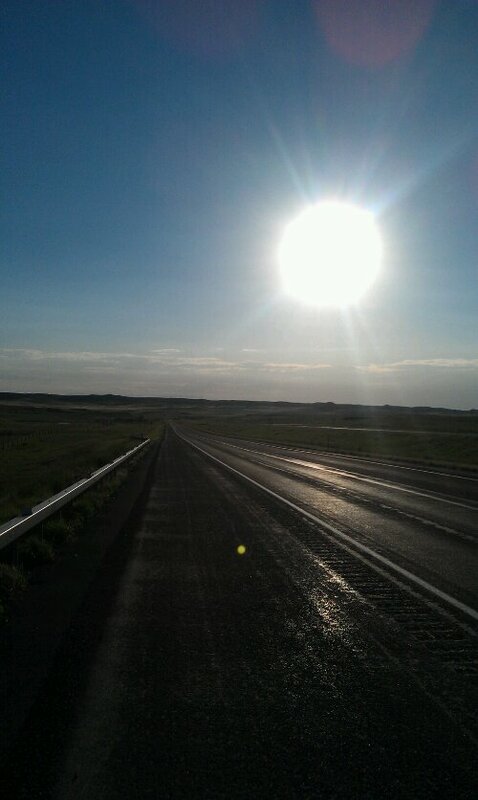 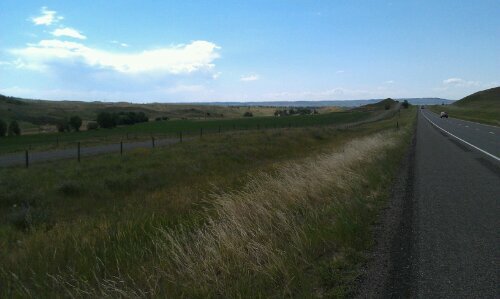 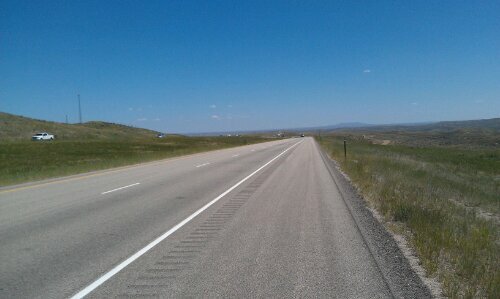 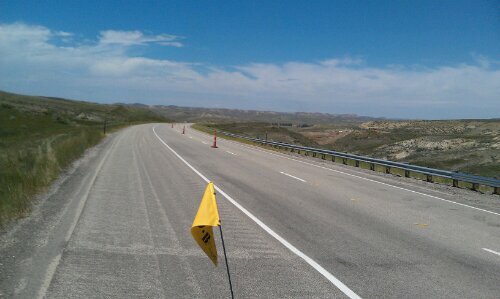 I pedaled my bicycle across 66 miles of desert yesterday on interstate 90. 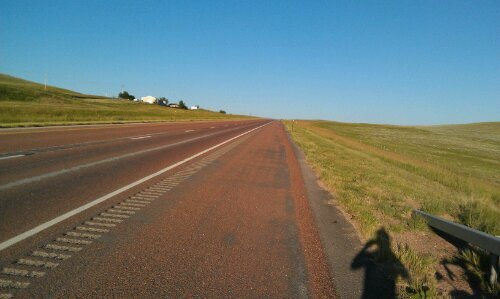 I used all six big bottles of water that I had bought for such an occassion, including my emergency one and three regular water bottles I carried with me. 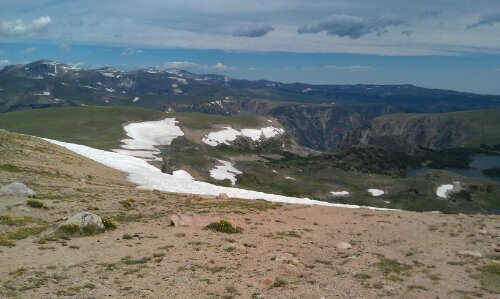 Also ate two freeze dried meals that I had. 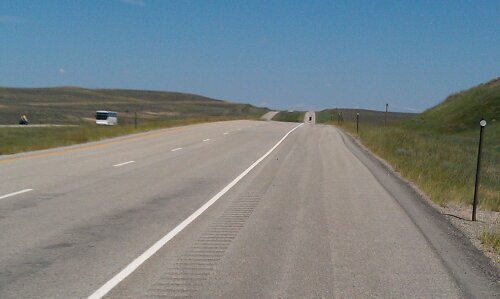 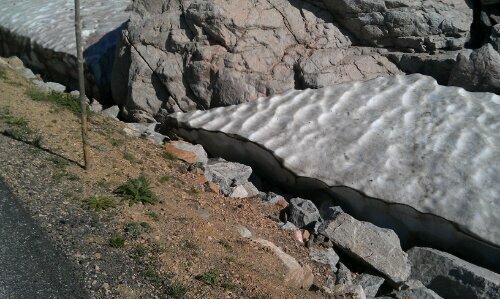 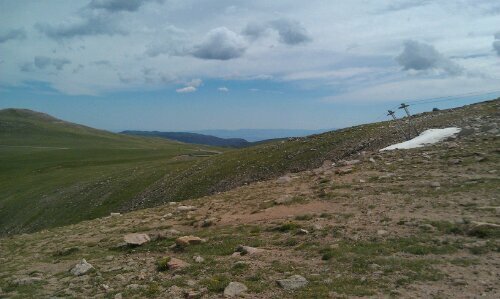 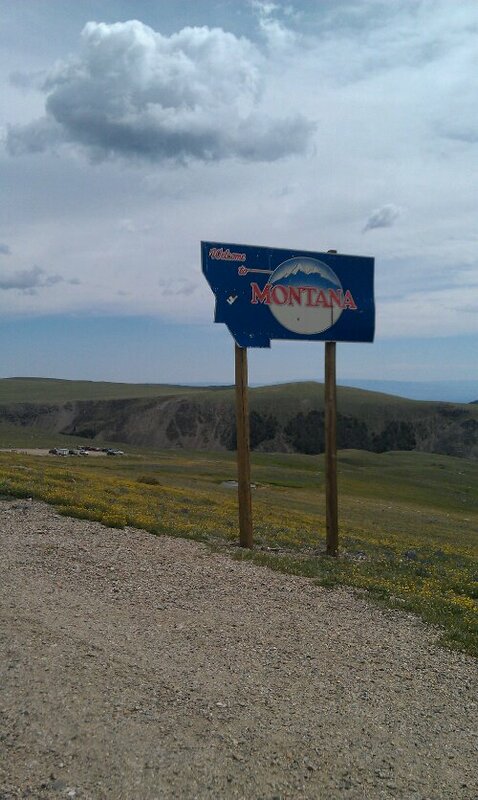 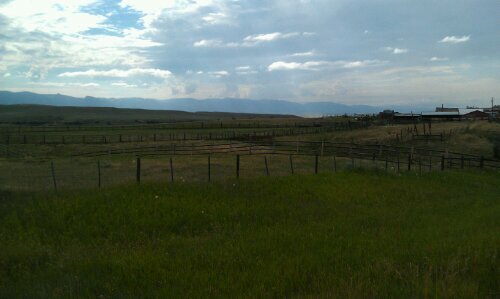 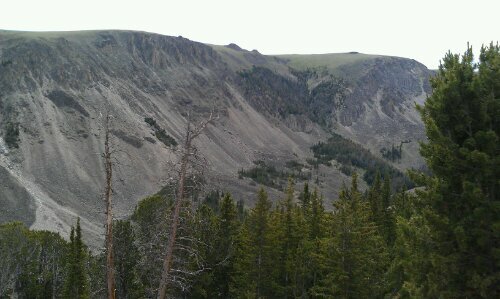 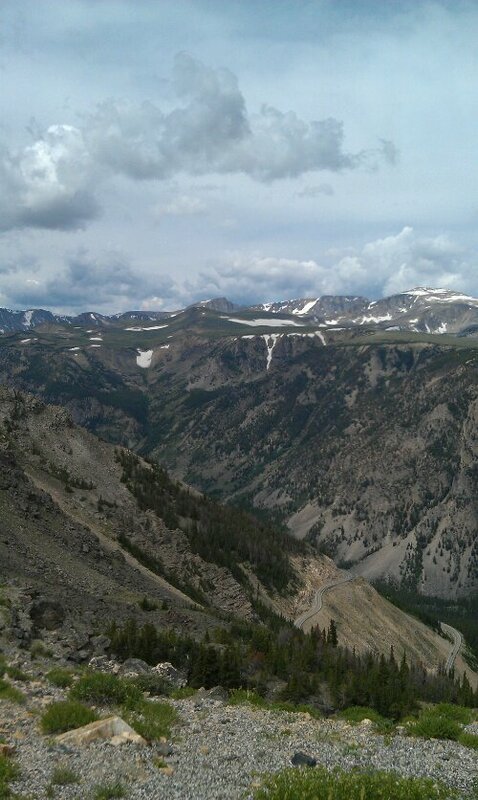 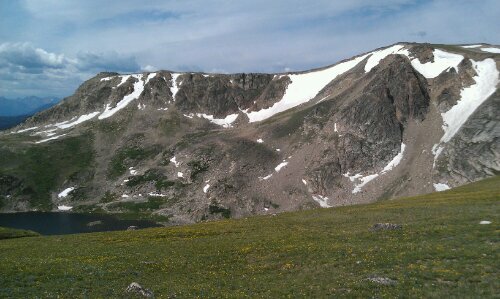 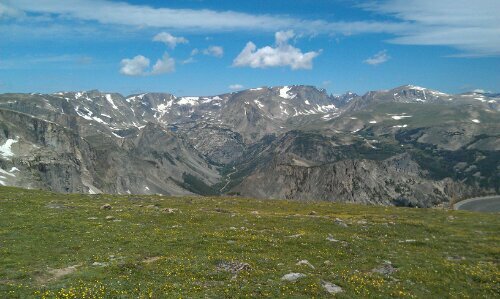 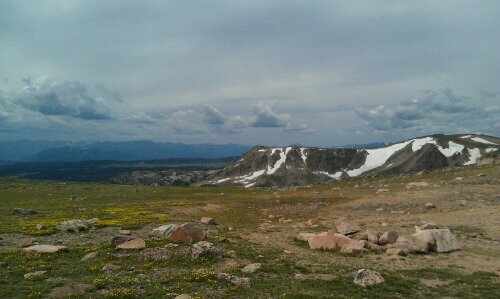 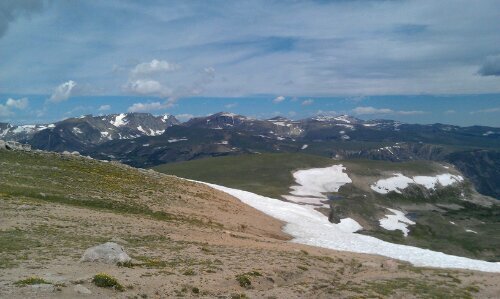 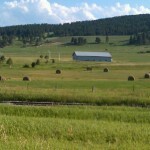 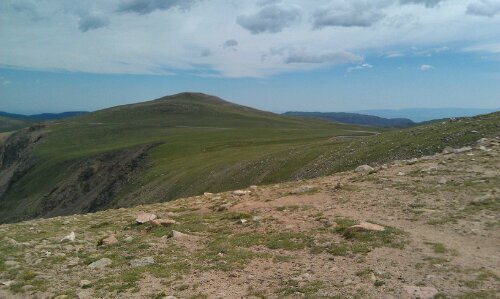 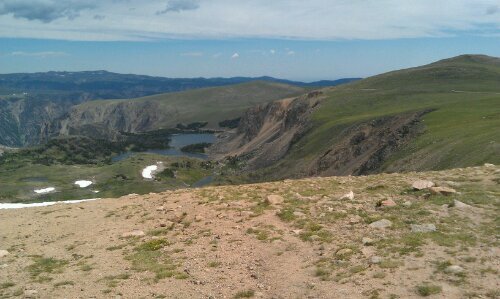 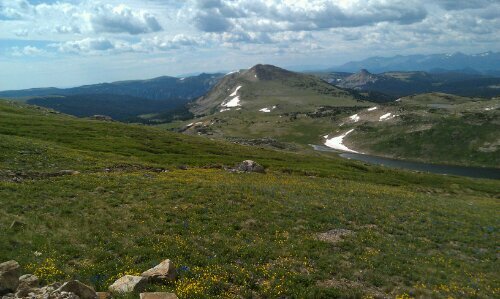 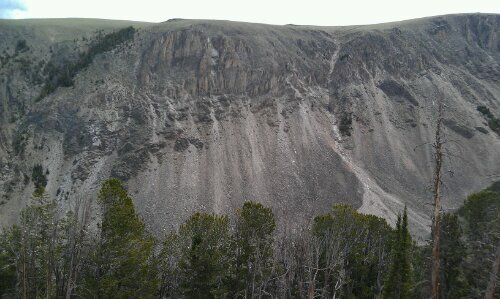 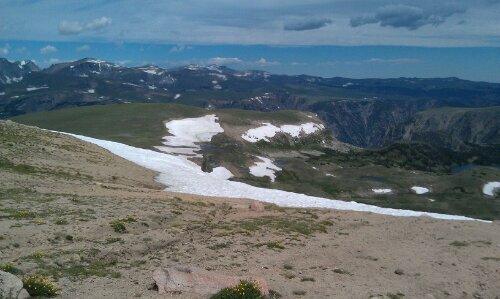 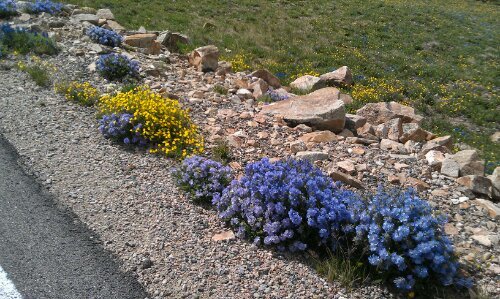 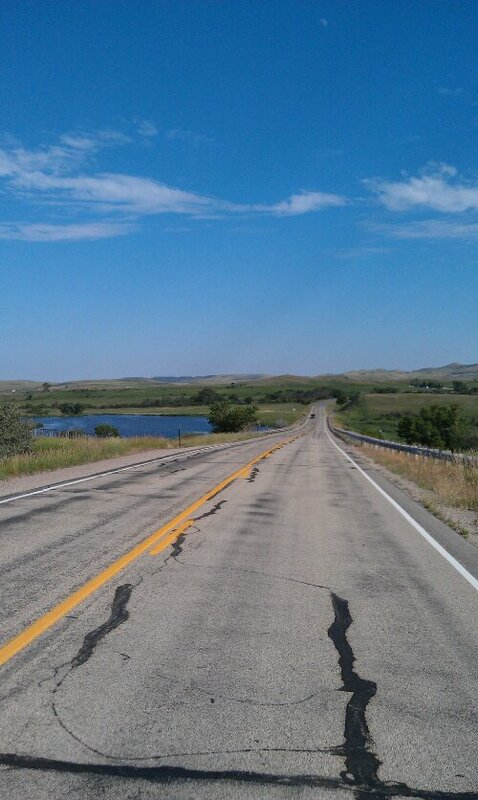 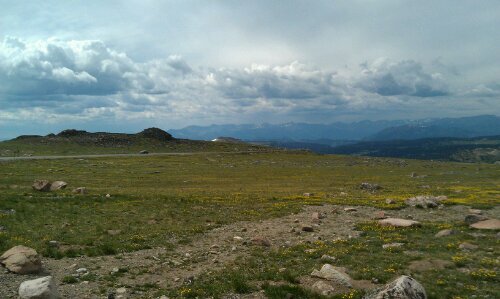 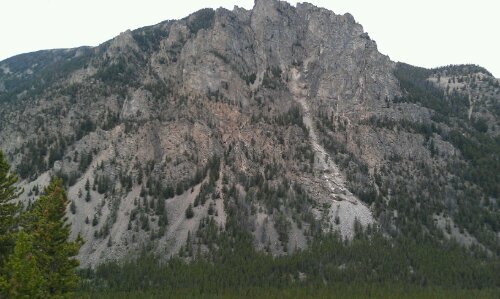 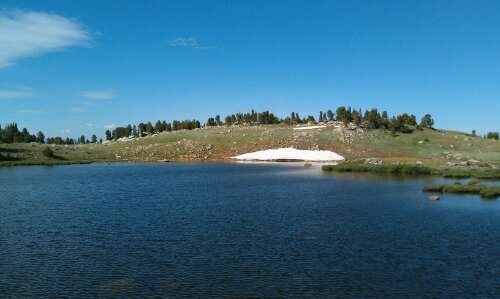 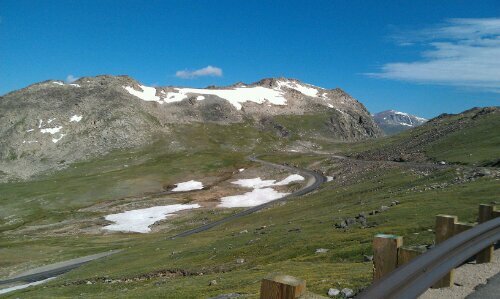 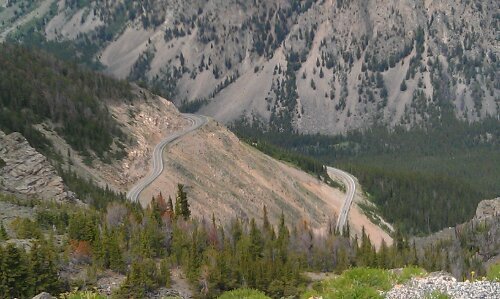 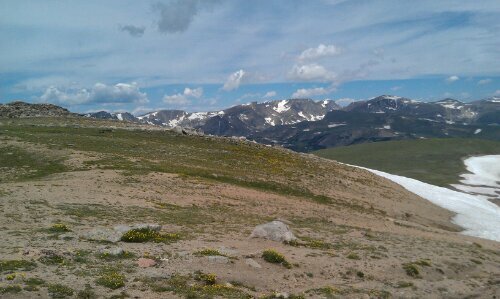 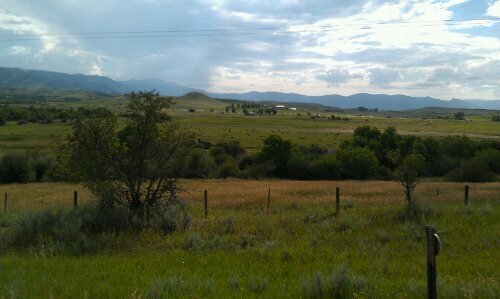 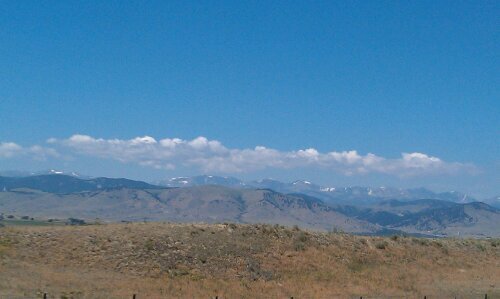 It was uphill the whole way as I am approaching the continental divide somebody told me. 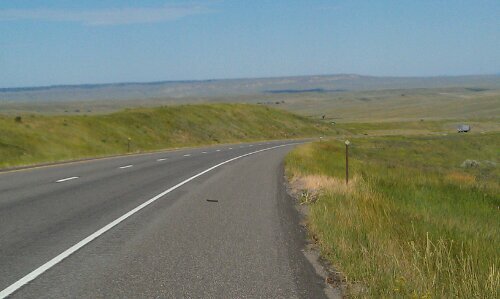 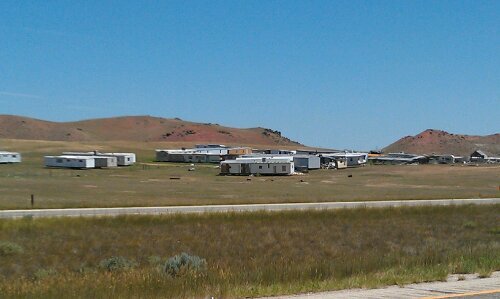 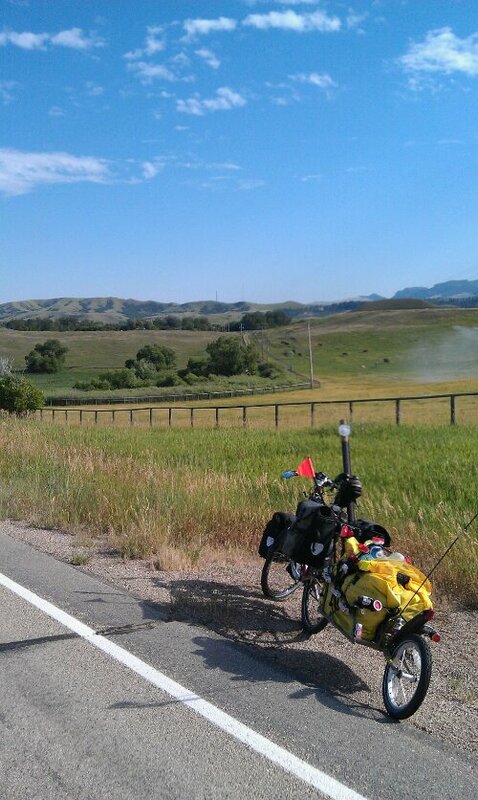 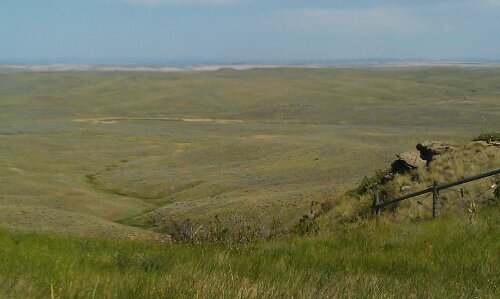 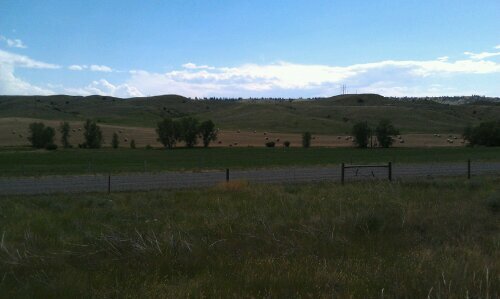 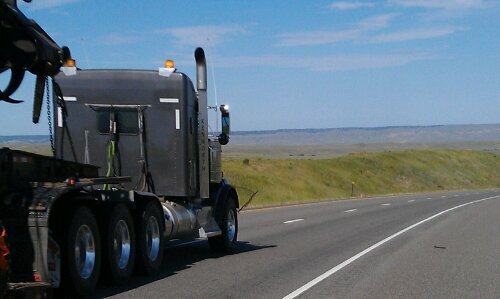 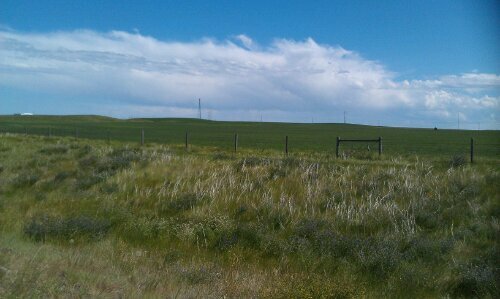 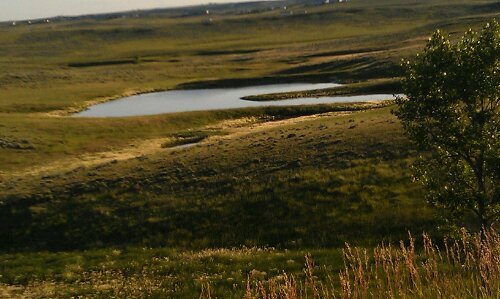 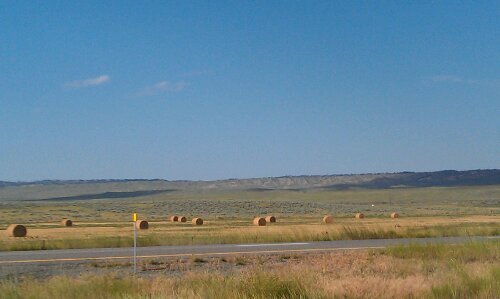 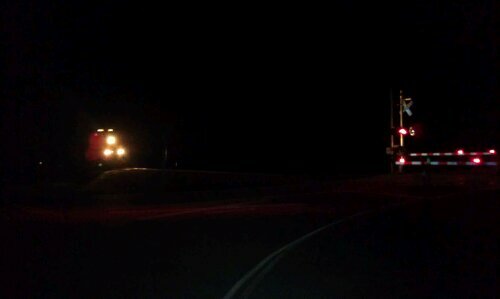 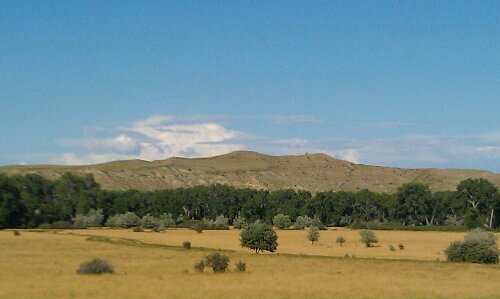 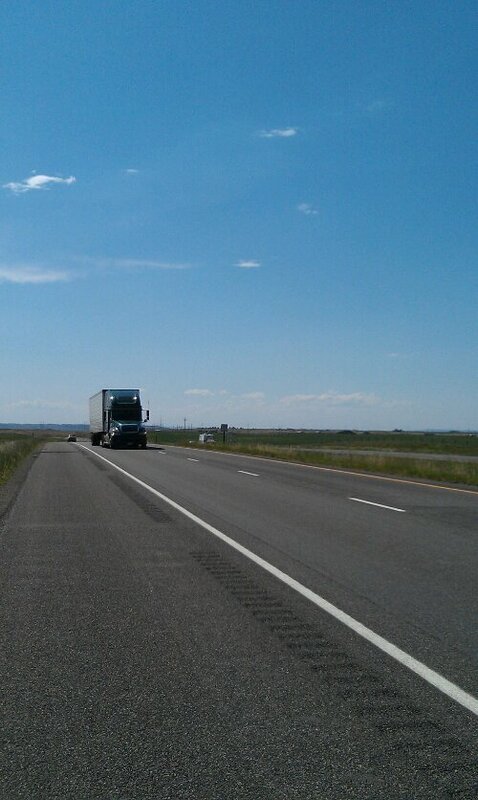 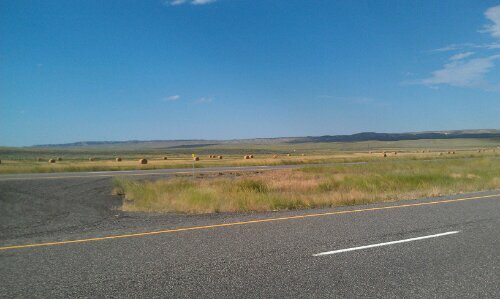 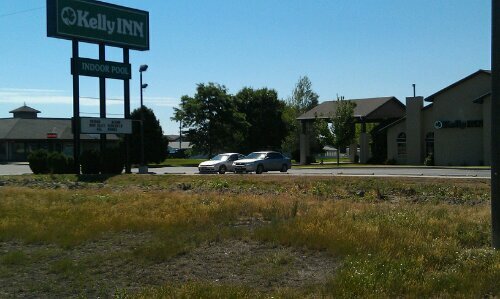 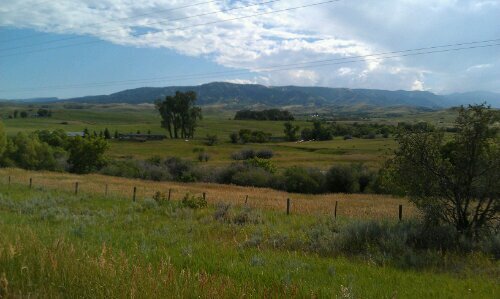 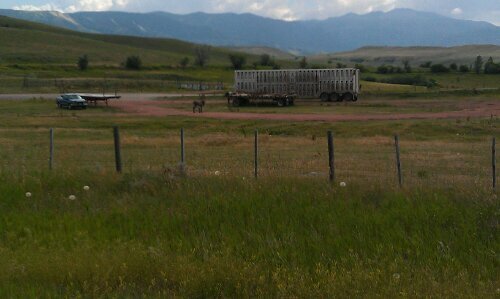 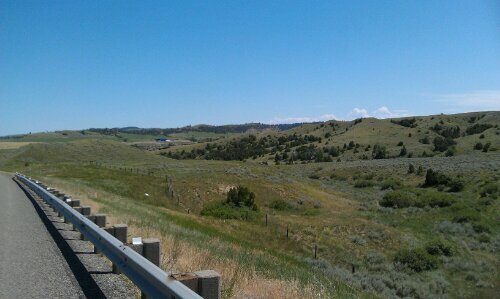 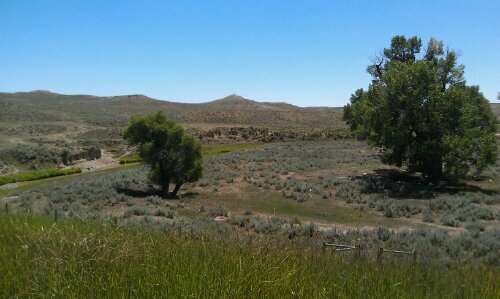 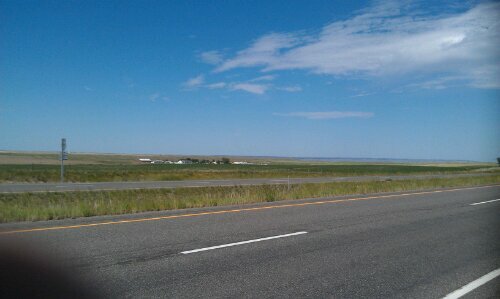 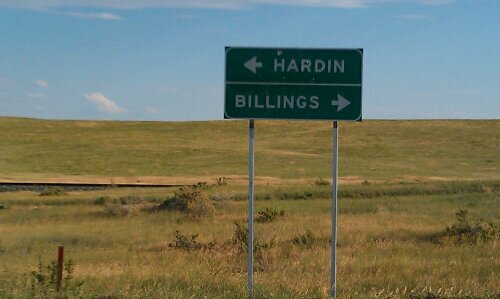 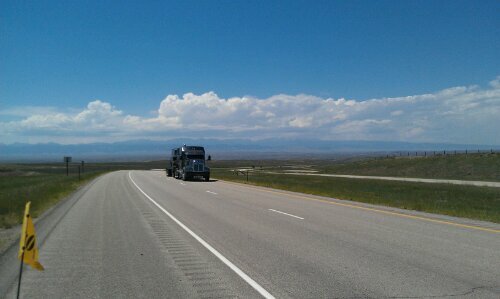 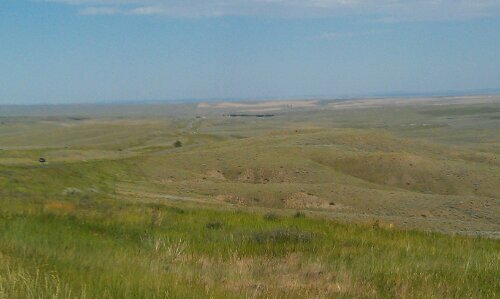 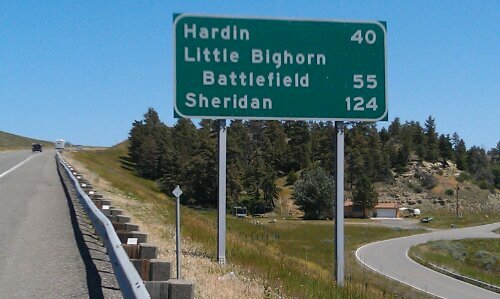 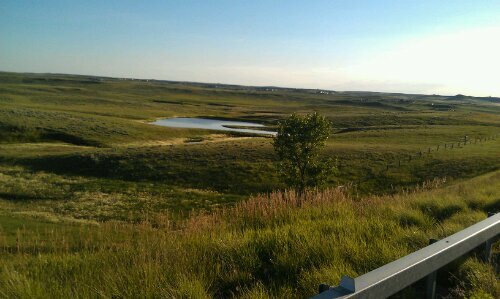 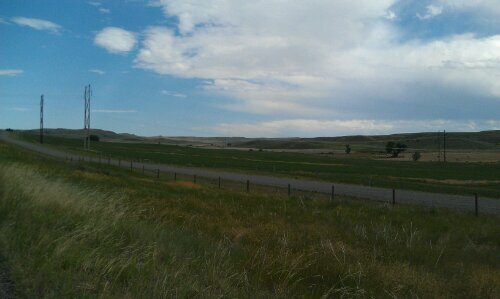 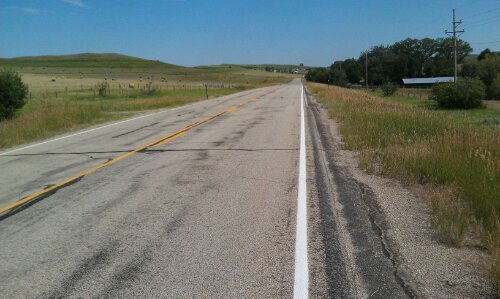 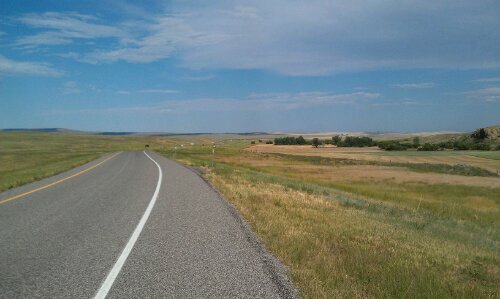 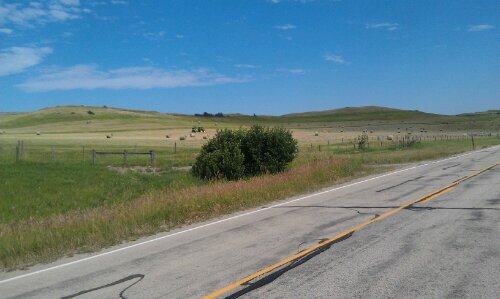 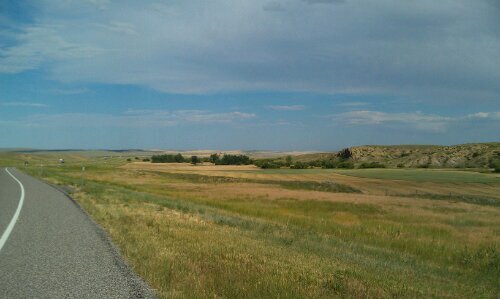 I am 140 miles east of Rapid City South Dakota, leaving Gillette Wyoming this morning. 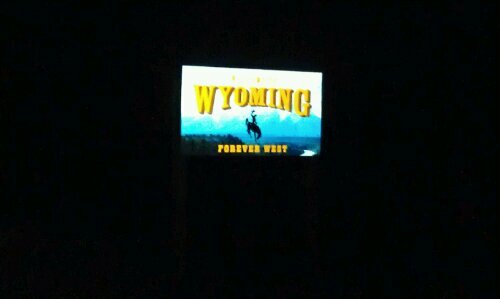 Coming into the state of Wyoming at night time . 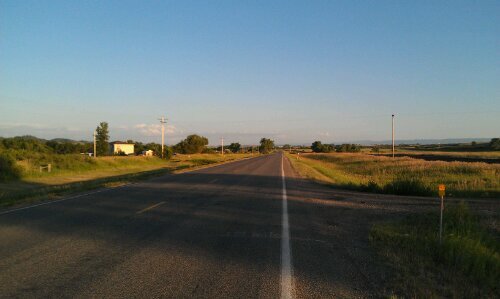 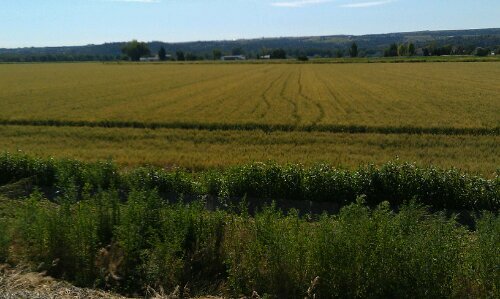 Started riding at 600 pm because of the heat. 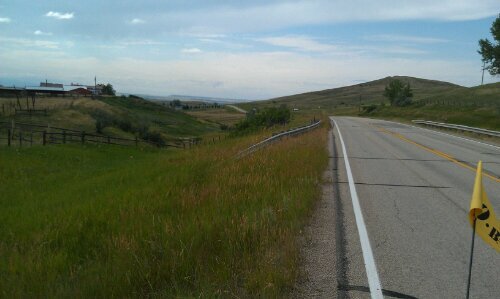 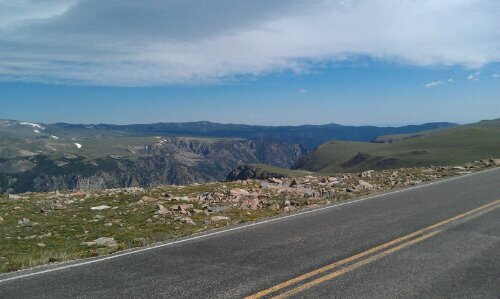 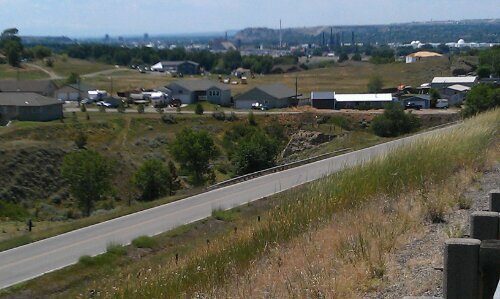 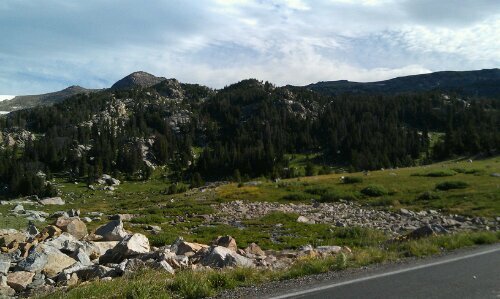 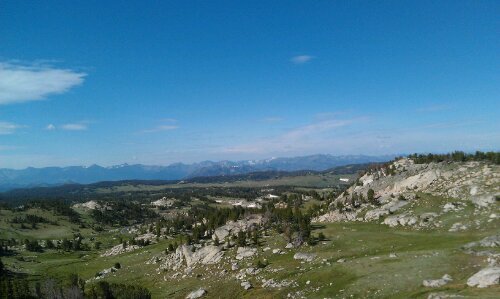 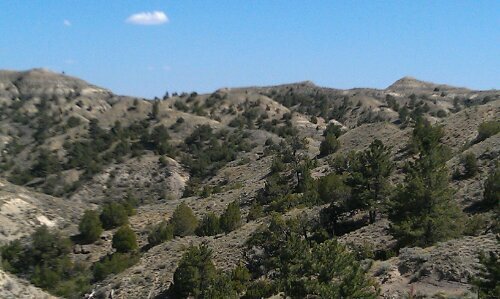 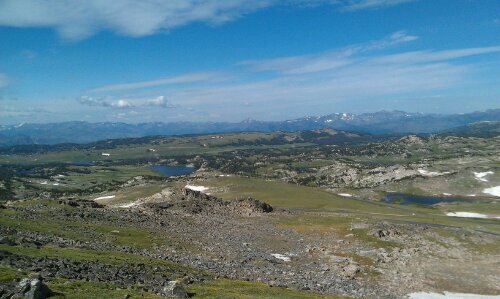 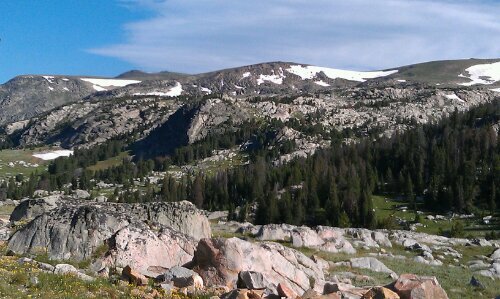 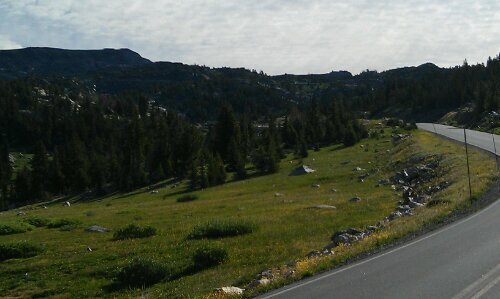 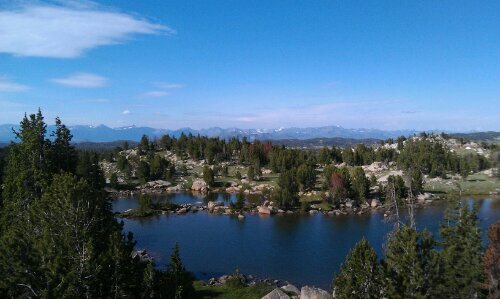 Coming down from the top of Bear Tooth and the road after that. 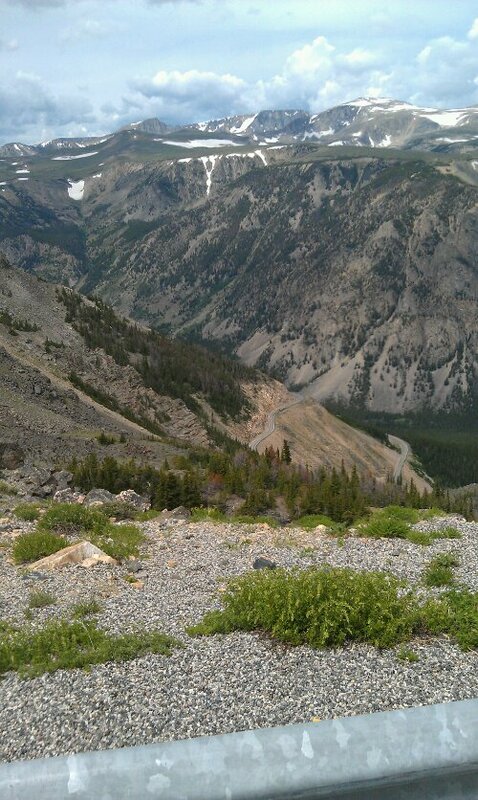 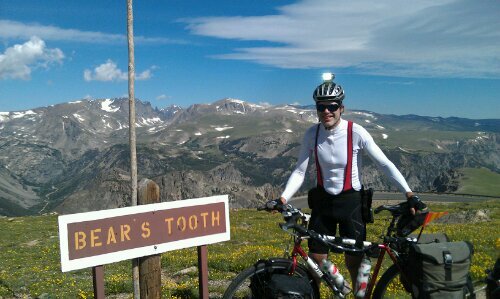 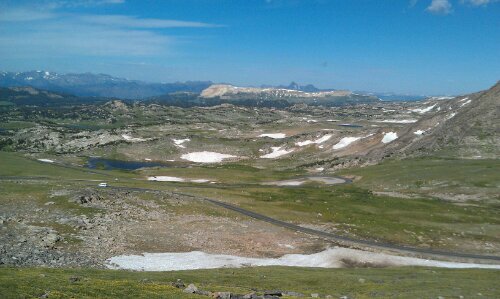 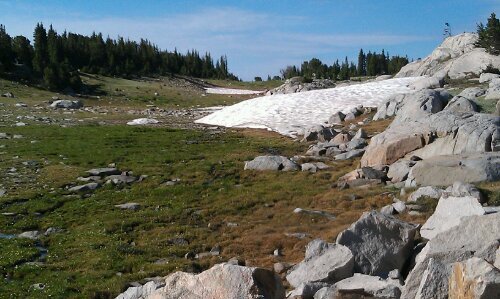 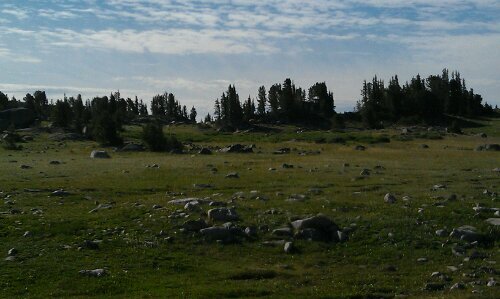 Coming down from the top of Bear Tooth Pass on the other side was much steeper.